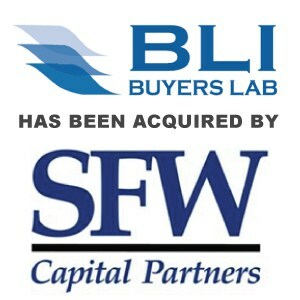 SFW Capital Partners Completes Majority Investment in Buyers Laboratory - Berkery, Noyes & Co., LLC. RYE, NY, December 14, 2011 — SFW Capital Partners (SFW), the leading private equity firm investing in mid-sized companies providing analytical tools and outsourced analytical services, today announced that it has completed a majority investment in Buyers Laboratory, Inc. (BLI or the Company), the leading provider of analytical testing and competitive intelligence services to the digital imaging and document management industry. 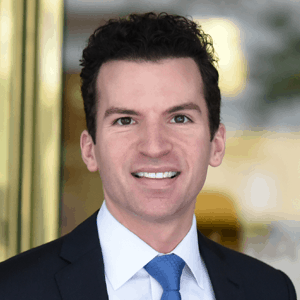 The current owners, Michael Danziger and Mark Lerch, will retain a substantial stake in the Company and will continue in their roles as CEO and COO, respectively. John Donnelly will continue as Managing Director of BLI International. Terms of the private transaction were not disclosed. BLI, headquartered in Hackensack, New Jersey and with offices in Hong Kong and London, is the authoritative provider of analytical testing information and competitive intelligence on document imaging hardware, software, consumables and document management. BLI supports all of the large Original Equipment Manufacturers, software and service companies, and more than 1,000 dealers in digital imaging equipment through a comprehensive product offering that is based on its highly-sophisticated, proprietary analytical testing capabilities. The Company’s products include field and laboratory test reports, product evaluations, and private testing. In addition, the Company is well known for its “Pick of the Year Awards” that recognize OEMs and products that have demonstrated outstanding performance. SFW Capital Partners is the leading private equity firm investing with management in mid-sized companies providing analytical tools and related services, including instruments, information and software, and outsourced analytical services. As a team, the partners of SFW have supported some of the most successful and well-regarded companies in its target markets. Buyers Lab is the world’s leading independent provider of analytical information and services to the digital imaging and document management industry. In addition to publishing the industry’s most comprehensive and accurate test reports on document imaging devices, each representing months of exhaustive hands-on testing in BLI’s US and UK laboratories, the Company has been the leading source of competitive intelligence for industry professionals on copiers, printers, fax machines, scanners, duplicators, wide-format devices and multifunctional products, and related software, consumables and document management solutions. The Company’s database includes nearly 15,000 products globally and it has a long-standing reputation for being the industry’s most trustworthy and complete source for analytical information.